Natalie Dormer and Emily Ratajkowski was on the red carpet yesterday evening(May 23rd) for the 'In Darkness' premiere at ArcLight Hollywood in LA. Natalie Dormer took on the power suit look courtesy of ELISABETTA FRANCHI. 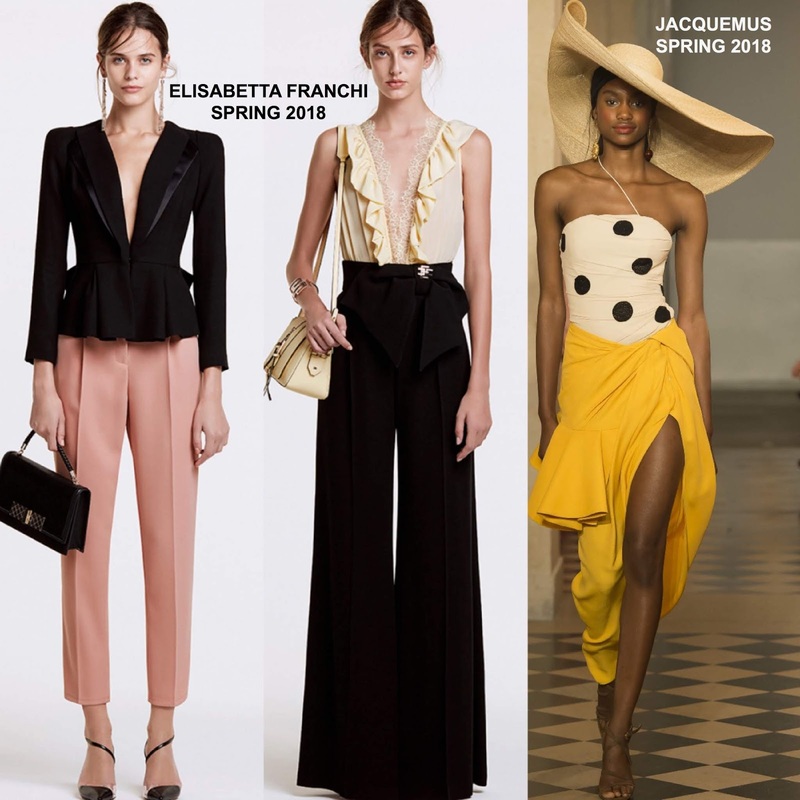 Her SPRING 2018 suit which featured a black satin lapel, peplum jacket & wide leg trousers, was teamed with a black lace panel camisole underneath. The only thing that is bothering me here, are the un-hemmed pants. Emily Ratajkowski worked a JACQUEMUS SPRING 2018 ensemble which featured a white & black polka dot ruched, asymmetrical hem top and a yellow draped, ruffle panel skirt with a split. I feel like, instead of wearing strappy sandals, she should have gone with an ankle strap style to elongate her legs. It was very much needed with this skirt. Straight tresses and a black tassel bag finished up her look.